After a very successful Around the Piano World CD release concert, many people asked if there will be another event so we decided to have a special concert and celebrate upcoming holiday season together with our audience! 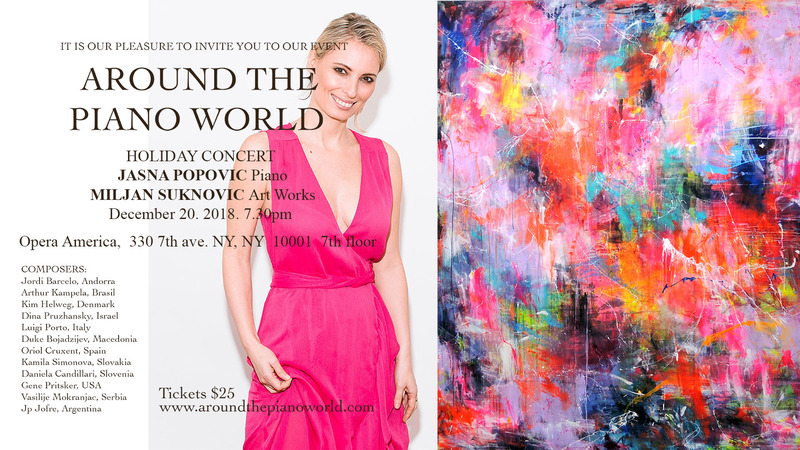 In 2017, pianist Jasna Popovic conceived of an international music project, “Around the Piano World,” posting an invitation on Facebook. Within less than an hour, she received compositions from more than 30 composers from China, Germany, Israel, and the United States. Impressed that they wanted to share their music with her, she premiered these international works in New York City. 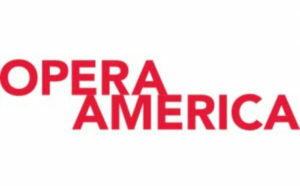 Popovic performs these compositions monthly at different venues, with the composers either present or conferenced in so that the audiences can have a conversation with them. She is excited about the growth and future of this project. Miljan Suknovic studied art and architecture in Belgrade, Prague, Florence (graduated 2005), Hamburg (DAAD Scholarship for Artist) and New York. In collaboration with galleries from Italy- France – Serbia -Greece -Germany and US he has exhibited in solo and group shows. His first solo show in America was held by Union gallery New York in 2008. His work is represented as well in large scale mural paintings in Florence and Bologna. Presently he lives in New York. Unique oppotunity to purchase the art inspired by the compositions at the discounted price.